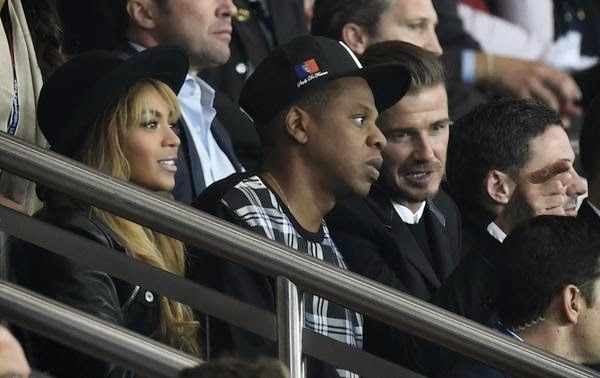 Jay Z and Beyoncé [last seen performing together here] were photographed this evening watching a live football game - or soccer as Americans will call it - with David Backham. 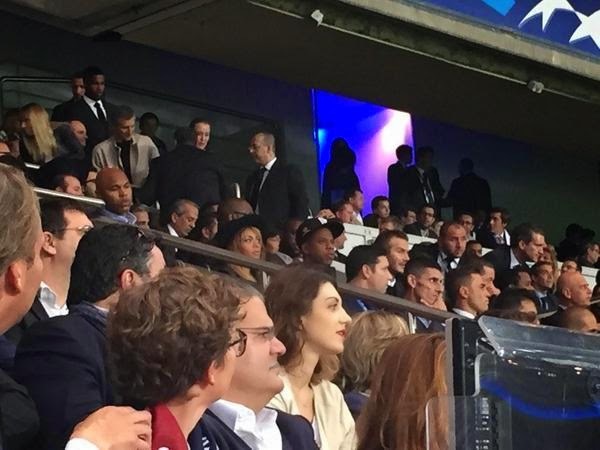 It was the high profile UEFA Champions League match match between Spanish heavyweights Barcelona and French Paris St Germain. It has been reported that the music's top couple are thinking about moving to LA and have been scouting out a few homes already. 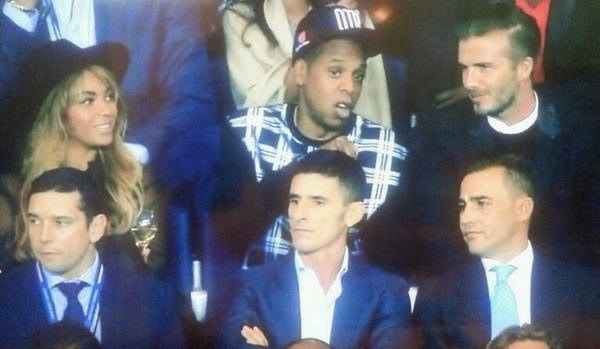 This only adds to the speculation since Beckham and his wife and children spend a lot of time in LA. 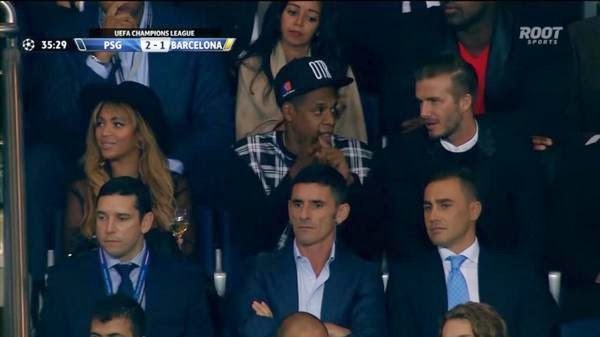 Beckham also used to play for the LA Galaxy club.